Nuthall (2005) discussed how some educators tend to cling to the belief that telling and teaching are the same thing; that what works in face-to-face conversation will work with a class of twenty to thirty students; and that attending only to head nodding, eye contact, and facial expressions will provide sufficient evidence of understanding. Consequently, as Nuthall explained, “Teachers depend on the responses of a small number of key students as indicators and remain ignorant of what most of the class knows and understands” (p. 920). By checking the understanding of all their students, teachers in high-performing urban schools help ensure equitable and excellent learning outcomes. 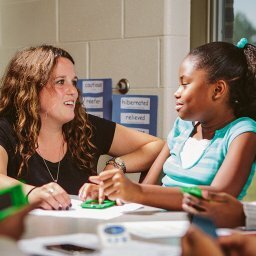 Black, Latino, Native American, and Southeast Asian students, students with emerging bilingualism, students with disabilities, and students from other groups that traditionally are not served well achieve deeper levels of understanding and mastery, in part because teachers purposefully check their understanding. Students here are not allowed to sit quietly and fail. That’s unacceptable. Almost 50 years ago, Good and Brophy (1971) found that teachers were less likely to call upon and check the understanding of students they perceived as low achievers. Similarly, Good and Brophy (1972) found that teachers were more likely to call upon and check the understanding of students with whom they felt attachment. To achieve equitable learning outcomes. “Teachers need to know which students are and are not engaged in thinking about the instructional objective being taught” (McKenzie & Skrla, 2011, p. 43). McKenzie and Skrla (2011) maintained that teachers do this by assessing the active cognitive engagement of all their students. In high-performing urban schools, teachers try to ensure that all students have abundant opportunities to respond to questions. They want evidence that each and every student is making progress toward developing deeper levels of understanding. Teachers acquire such evidence through both their question-posing strategies and their careful attention to the responses of each student. Of course, when teachers use any of the group response strategies described previously, they give all students opportunities to respond. For example, when teachers ask students to solve a problem on their individual whiteboards, they give every student an opportunity to complete the problem and then quickly check each student’s response. In a more typical class, a teacher might ask one student at a time to come to the classroom board and solve a problem. While one student responds, other students may disengage. Furthermore, when teachers use such one-student-at-a-time strategies, only a few students might have an opportunity to share. Consequently, the teacher has little or no information to determine if the other students understand the concept or skill. Students from Kearny School of International Business. A 2009 America’s Best Urban Schools Award winner. 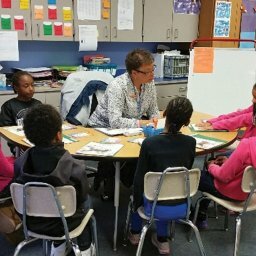 In high-performing urban schools, teachers distribute opportunities to respond even when they do not use group response strategies. Commonly, these teachers call upon students before they raise their hands. In some cases, teachers draw student names randomly to ensure evenly distributed response opportunities. 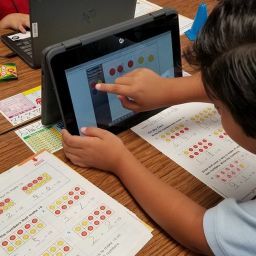 In other classrooms, teachers use a class roster or grade book to record student responses as students answer questions. Generally speaking, however, teachers in high-performing urban schools do not restrict their questioning to a strategy whereby students raise their hands to be called upon. Randomly, sequentially, or strategically, they acknowledge students in a manner that offers all students opportunities to respond. Likewise, in some classrooms, teachers achieve the same even distribution of response opportunities by allowing students to call upon each other. For example, in an English class at Kearny School of International Business in San Diego, California, a student answered the teacher’s question about the memoir the class was reading, The Glass Castle, and then asked another student to offer additional or contradictory evidence from the memoir. 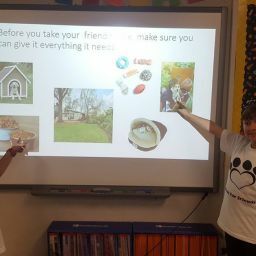 Sometimes, the teacher called upon students, and at other times, the teacher allowed students to call upon each other, intending to ensure that every student contributed to the conversation. At Kearny School of International Business, as in other high-performing urban schools, students were not ignored when they sat quietly and passively. The school’s principal explained, “Students here are not allowed to sit quietly and fail. That’s unacceptable.” Instead, all students were expected to participate actively in class discussions. They were challenged to respond to questions in ways that demonstrated their level of understanding. The thorough distribution of response opportunities in high-performing urban school classrooms may help explain why certain student populations achieve much better results than are typical. For example, students with emerging bilingualism, students of color, students with disabilities, or students with behavior challenges are not allowed to sit quietly and wait for the class period to end. Teachers engage these students in answering questions, at least as much as they engage other students. Students learn that they are expected to learn. Students know that each day, in each class, they will be called upon to participate, engage, and demonstrate their understanding. Example: In a middle school math class, a teacher presents x-y graphs that illustrate hourly wages, hours worked, and bonuses earned. The teacher organizes students into small teams of three and designates each student as Student A, B, or C. The teacher asks the students to work with their teammates to explain what the graph implies about salaries. Then, the teacher asks Student B in each group to stand and explain the graph to their team. Next, the teacher asks each Student A to answer specific questions about data points on the graph (e.g., How much did this person earn and why?). Finally, the teacher asks each Student C to explain how the graph would change if either the hourly rate changed or the bonus changed. Example: In a middle school math class, a teacher presents x-y graphs that illustrate hourly wages, hours worked, and bonuses earned. The teacher presents each graph and asks questions about specific data points, trend lines, and so on. A few students raise their hands or blurt out answers. The teacher calls upon the students who want to participate in the conversation. Other students sit quietly and wait for the period to end.